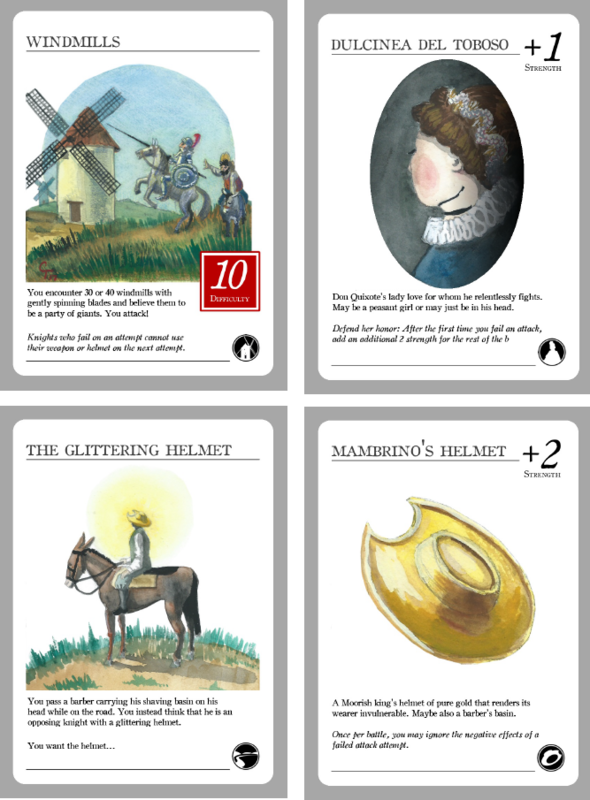 In this tabletop quest (card game) you will become a wandering knight and find renown by performing harrowing deeds, courting virtuous love interests, and maintaining the codes of chivalry. Along the way, you will be waylaid by giants (or are they windmills?) and even other knights (players) hoping to overshadow your hunt for knightly glory. It won’t be easy, reality beckons at every turn. Yet in your hand are the very words of chivalry that help you make the world as you see fit. 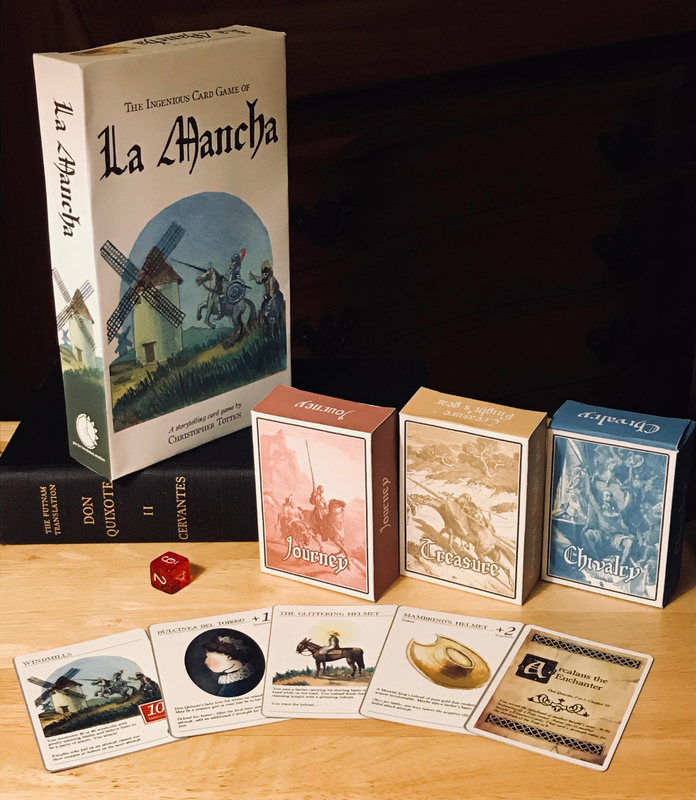 With storytelling as your armor and roleplay your lance, you will create your own exciting adventures of knighthood in La Mancha! Live the adventures of the famous Don Quixote de La Mancha in over 30 scenarios based on the classic novel! Compose your own knigtly tales with 90 powerful Chivalric phrases. Woo one of 16 loves, each with special abilities! Wield 50 mighty treasures: weapons, armor, helmets, shields, and steeds. Win the game and become the most renowned knight in all the land by overcoming 16 dastardly feats.